SEM is undoubtedly one of the most effective digital marketing channels that exist. When the right elements come together - a great product with good unit economics, relatively few competitors, and high search volumes - paid search scales very nicely. But startups rarely have all these elements working in their favor at once, and they usually face a set of unique challenges when trying to build out SEM as a scalable channel. As a digital marketing agency that has worked with more than 100 startups of all shapes and sizes on SEM, we have seen and navigated these issues and want to share some insights about how to overcome them. Startups have a set of unique challenges above and beyond the typical challenges faced by companies advertising on paid search channels like Google AdWords and Bing Ads. The first big challenge is that many startups have unknown or unproven customer LTVs (lifetime values). Knowing your LTVs is the most important first step when considering doing any kind of paid advertising. If you don’t know how much money you’re making from a customer over their lifetime, you won’t know how much you can afford to spend to acquire them. But for startups with relatively little operating history and low customer volumes, it becomes very difficult to accurately project LTV. A lack of LTV data is a bit of a chicken and an egg problem, since LTV can only be established once you have acquired customers. You have to expend some combination of time, effort, and money to acquire customers from any channel. This is very important to understand - SEM can be used to help validate or establish LTVs, but if this is your goal then make sure you are clear on what you are trying to achieve. Sometimes a startup thinks they are trying to see if SEM is scalable for their business, but they realize they don’t have the right LTV data to assess the efficiency of the channel in the first place. It’s an important distinction that will change the approach and the resources needed to manage your SEM accounts. One way to get around this catch-22 is to get industry comparisons by talking to VCs or people at similar companies who can augment any customer data you have. While customer LTVs for other companies will likely differ from yours, it’s a relatively good measure that can at minimum help you establish a benchmark for developing a target CPA. How much you can afford to spend to acquire a customer (called a target CPA) is directly related to how much scale you can achieve from SEM. The higher your target CPA, the more scale you can achieve.The reason for this is diminishing returns. As you start increasing your SEM spend, CPAs also increase as you saturate the low-hanging, high-intent keywords that typically convert well and you reach for new keyword opportunities. Eventually your actual CPA will start bumping up against your CPA target and you will be forced to stop scaling spend until either you determine you can afford to pay a higher CPA or you are able to achieve lower CPAs with optimization. Another challenge for startups using paid search is heavy competition from established companies. Because these incumbents know their LTVs and also typically have much larger budgets to work with, they can afford to be more aggressive with their bids on SEM and this can squeeze out startups trying to break in. In addition, sometimes these companies ensure they show up in a certain position - regardless of how inefficient it may be. This can make it very difficult for scrappy, unit-economics-driven startups to compete. This can be exacerbated for high-funnel keywords that are already very expensive and have relatively low conversions rates. Even for these companies, it’s unlikely that the CPA from these keywords backs out for them directly, but they continue to spend millions of dollars per year to show up in the top positions for these keywords. Such companies may be bidding on the belief that the brand exposure they receive from showing up for generic keywords makes up for CPA inefficiency, or they may be bidding on these keywords purely due to a fear of missing out since their competitors are bidding on them. Regardless, this is not a battle that a startup is going to win unless their LTV, and thus target CPA, allows them to compete. The best way to get around this is to bid on a variety of long-tail keywords, which will have lower competition and likely higher intent, but will also be cheaper. The more extensive your list of long-tail generic keywords, the more traffic you can drive without relying on competitive, generic keywords. Google’s Keyword Planner and third-party tools like SpyFu can help you find long-tail keywords with low competition that are relevant to your business. Another common obstacle for startups looking to leverage paid search is that they’re often operating in nascent or emerging markets, leading to low search interest. This can limit the amount of relevant search volume available, which is a critical aspect to scaling paid search. 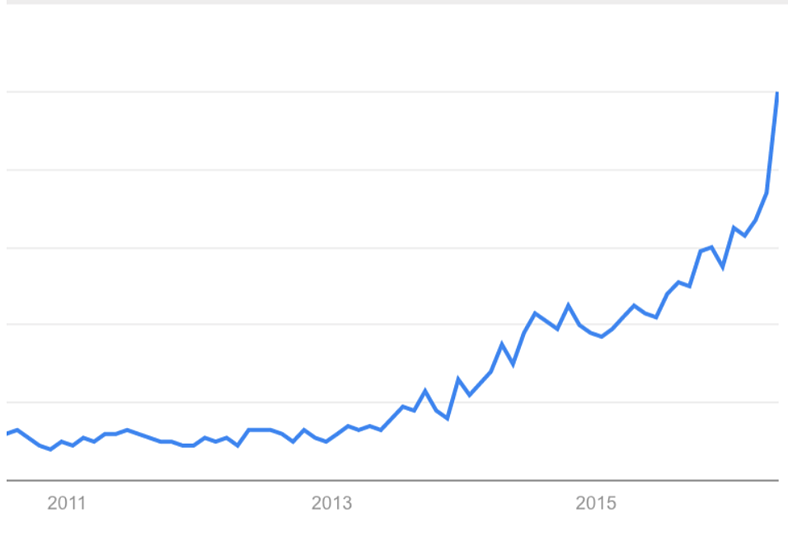 How can you access search volume at scale when your industry is so new that people don’t even know it exists yet? This can be a daunting obstacle, and it takes some creativity to get past it. Targeting competitor keywords and tangential products is one way to do this. For example, in the early days Uber could have bid on competitor keywords like “avis car rental” and “yellow cab taxi”, or tangential products like “quick transportation” and “call a taxi” to build awareness of its product and drive conversions via SEM. However, the relevancy of a keyword to the product at hand will determine the conversion rate and so again it comes down to what CPA you can afford to pay for these keywords. Waiting for your market to develop is sometimes necessary in order to truly achieve scale from SEM while hitting your CPA target. We’ve addressed the challenges in making paid search a profitable and scalable channel for startups, but what about the light at the end of the tunnel for those companies that are able to overcome those challenges? The most obvious and most important advantage of paid search is the value of intent. Users are telling you exactly what they’re looking for when they type in a search term, which usually indicate higher levels of purchase intent than indirect signals like audience targeting that are available for other paid acquisition channels. As a result, no paid advertising channels come close to paid search conversion rates. Intent-based search ads allow you to capture the low hanging fruit. Someone searching for “ride sharing app” is already generally aware of your product and is probably deep enough in the marketing funnel to download the app and use it. Search ads let you maximize demand capture. But intent is also valuable for capturing higher-funnel interest. Someone searching for “quick transportation” is sending a direct signal that they’re looking for a fast way to get around, even if they’re not aware of the existence of ride sharing. This goes to show that you can find conversion volume from keywords that are not directly related to your product or service offering, assuming the unit-economics work out when comparing LTV to CPA. 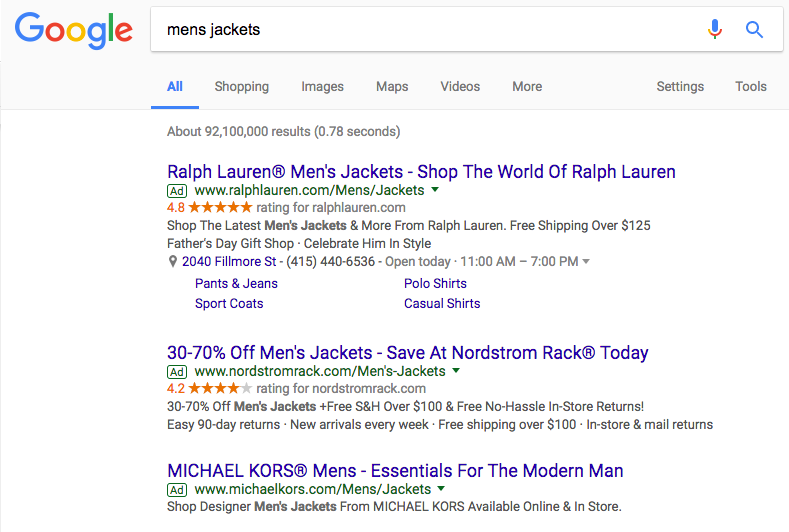 Brand keyword coverage plays an important role in all SEM programs, but it’s especially critical for startups who should be capturing everyone searching for them. All the effort and resources expended driving awareness of a startup can be wasted if a potential customer searches for your brand on Google and gets poached by a competitor’s search ad. Branded search ads can help you protect your investment in other channels. Given how valuable these earned branded search queries are, it should come as no surprise that bidding on competitors’ keywords can be a very effective way to reach potential customers at the bottom of the funnel who are ready to make a decision. This can be especially beneficial for startups who are in markets with well-known incumbents (i.e. lots of customers searching for their branded keywords). While established companies may have larger budgets and more brand name recognition working in their favor, startups also have some things working in their favor. For one, startups are able to move very fast and learn quickly due to their small size and lack of red tape, allowing for high-tempo testing and optimization, which is for scaling a paid search program. For another, startups can prioritize growth over profitability in pursuit of capturing a market, allowing them to better compete with established companies in ad auctions. Finally, startups tend to have new and refined product offerings compared to their older competitors, creating the potential for higher conversion rates and customer LTVs. This can make it easier to compete with established competitors. Startups eventually have to acquire new customers efficiently and at scale in order to become mainstay businesses. In the early days that’s no easy task, as even defining efficiency goals based on LTV benchmarks can be arduous. Succeeding with SEM as a startup requires being nimble with testing and learning, and it sometimes necessitates sacrificing short-term efficiency in favor of long-term growth. There will always be established competitors with much larger budgets trying to box out startups trying to break into their market, but there’s a huge opportunity for the startups that are able to successfully overcome the challenges associated with SEM. People expressing their intent through a search query is arguably the most powerful marketing signal that exists. And tapping into that signal using paid search engine marketing can be the source of a highly scalable customer acquisition channel.